Cape Town - Five talking points ahead of this weekend's Super Rugby Round 7 matches. 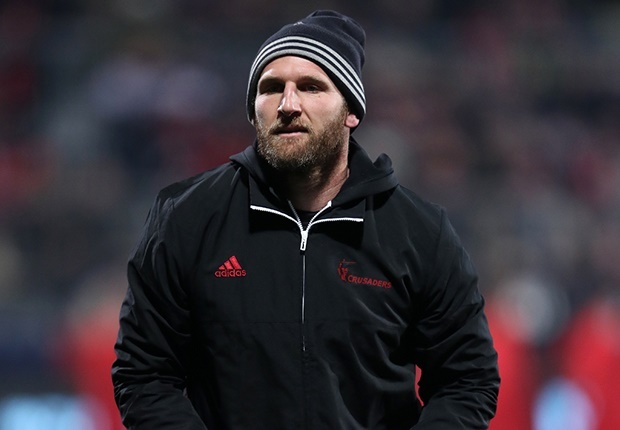 All Blacks skipper Kieran Read will be back at No 8 on Friday to give a timely lift to the Crusaders as they return to New Zealand to take on the Hurricanes in Wellington. "It's been awesome watching the boys go well, but I have been really enjoying training the last few weeks," said the double World Cup-winning back row forward. "I can't wait now," added Read, who sat out the first six weeks while his bad back was kept in cotton wool ahead of him leading New Zealand's campaign for a third straight trophy in Japan later this year. Defending champions Crusaders have endured a difficult two weeks with the gun attacks in their home city of Christchurch deeply affecting all at the club and then seeing their 19-match win streak ended in Sydney last Saturday by the Waratahs. The struggling Highlanders have a bye, but they still suffered a potentially devastating blow this week when it was revealed that their All Black scrumhalf Aaron Smith faces an extended injury lay-off. The Highlanders have only two wins and now face a tough run including four New Zealand derbies in the next five weeks almost certainly without their 82-Test star. Smith picked up an ankle injury late in last week's loss to Auckland Blues and coach Aaron Mauger told stuff.co.nz he would be out "for four to six weeks" and he would look for an experienced halfback to fill in. "We're not in this week so we have a bit of time up our sleeves to have a look around," he said. Northern Bulls travel to their favourite away venue - Kings Park in Durban - with coach Pote Human insisting their 56-20 mauling by the Chiefs last weekend is firmly behind them. Human has made two changes to the starting XV after the Pretoria debacle, bringing in scrumhalf Embrose Papier and lock Eli Snyman. "We trained well this week and have put that humiliating loss behind us," insisted Human as the three-time champions seek a fourth victory in six outings this season. The Pretoria side hope to complete a hat-trick of victories over the Sharks in the Indian Ocean city after winning 40-10 last season and 30-17 the year before. Israel Folau's younger brother John could make his Super Rugby debut for the Waratahs on Friday alongside his superstar sibling against Japan's Sunwolves. John, a wing who has played rugby league with the Parramatta Eels, was a late call-up to the bench after Curtis Rona was ruled out with an injury. The Waratahs are looking build on last week's upset of the reigning champion Crusaders in Sydney, but they will have to do so without Wallabies Bernard Foley and Adam Ashley-Cooper, who are being rested. The New South Wales club will venture north from Sydney to Newcastle for a Super Rugby match for the first time as they host the Japan side. "This round for us will be celebrating country rugby and with close to 30 percent of the squad hailing from the regional NSW, we recognise just how important country rugby is to our player pathways," said coach Daryl Gibson. Reds flank Angus Scott-Young has escaped a ban for striking former team-mate James Slipper before the Brisbane side entertain the Melbourne Rebels on Saturday. There were fears the 21-year-old was facing a stint on the sidelines after he was cited for hitting the Brumbies prop in the head with a closed fist last weekend. But a judicial hearing on Wednesday evening found he was making a "legitimate, albeit clumsy, attempt to clean out his opponent" and he was let off with an official warning. "The player's explanation for the incident, including his attempt to protect his previously injured hand by closing his fist during the clean out, revealed absence of malicious intent," said judicial committee chairman Robert Stelzner.